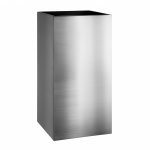 Stainless Steel Tall Square Planters are made in India and they are made to a very high standard from 304 grade brushed stainless steel. This Stainless Steel Tall Square planters are fully welded and have been lined consequently preventing soil from corroding the inside. 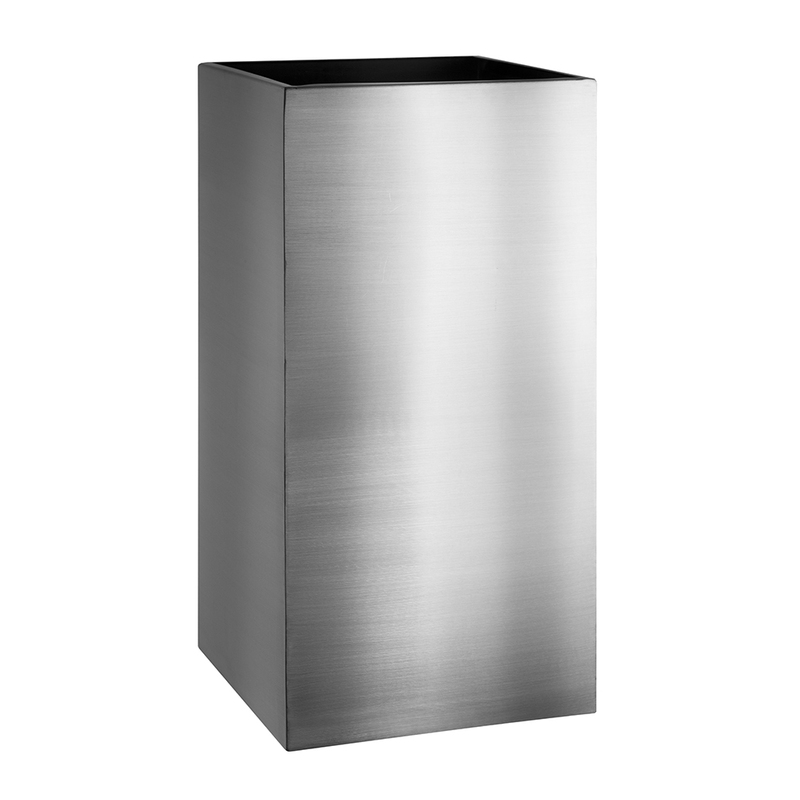 The Stainless Steel Tall Square planters are sleek, elegant and classic. A planter which is the perfect accompaniment to plants in any interior or exterior space. This planter is perfect as a stand alone planter, yet it also looks equally attractive when placed in pairs outside an entrance. The Stainless Steel Tall Square Planters currently only come as one standard size from our imported range. However, if you cannot see the size that you are looking for, you can request a quote for a bespoke size. Bespoke sizes can be easily made and are made in the UK from British steel however, they are often a higher price. 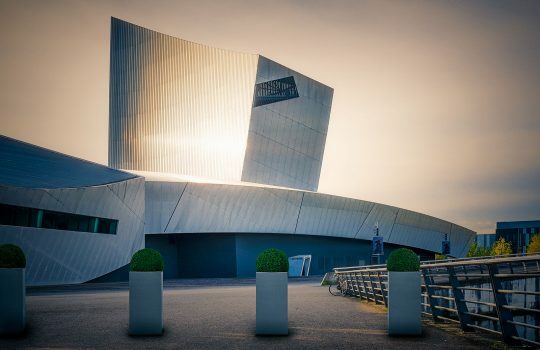 To compliment the Stainless Steel Tall Square Planters there are also other shapes available in a wide variety of sizes. Other shapes include cylinders, cubes, troughs and tapered squares. Please note that these planters are not suitable for being placed near a source of salt water. (i.e. sea air) Please ask us to quote for marine grade stainless if required.